In a new twist, Nick Kuman has been recognized as duly elected MP for Gumine Open seat by the PNG Election Commission. Mr. Kuman welcomed his declaration by the electoral commission as the Gumine MP-elect in Chimbu , the seat he also won in 2012. It follows confusion in the past few days over whether he or PNG Party’s Dawa Lucas Dekena had won the Gumine open seat. Kuman was in Alotau yesterday when the electoral commission declared him the winner. “The outcome that was recorded on July 26 at the Kundiawa Counting Centre, after Count 47, was that I was the winner with 14,261 votes,” he said. “The runner-up (Dekena) had 13,870 – a difference of 391 votes. 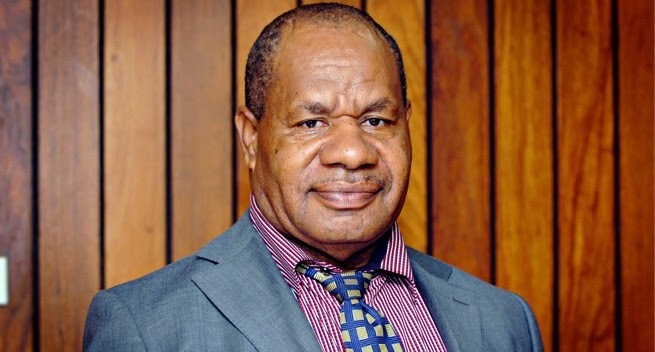 “Unfortunately, circumstances beyond the control of the electoral commission forced the illegal declaration that was made on Friday, July 28, at 8pm.” Kuman said he had to personally deliver his formal declaration to the electoral commission in Port Moresby on Saturday to prove that he had been “duly elected” as the Gumine MP. “The electoral commission informed me (yesterday) that the writ had been returned to the governor-general, and that I am the duly-elected member for Gumine,” he said. Electoral Commissioner Patilias Gamato told The National that the writ for the Gumine electorate was returned to the electoral commission office and was accepted by deputy commissioner Simon Sinai.